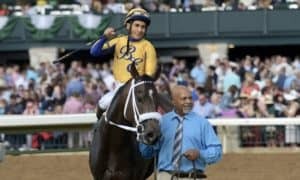 American Anthem, Hall of Famer trainer Bob Baffert’s hopeful for the Grade 2, $900,000 Rebel Stakes at Oaklawn Park on Saturday, will break from post 7 in the field of 11 3-year-olds when the promising but lightly-raced colt meets more experienced competition at this important juncture on the Kentucky Derby trail. 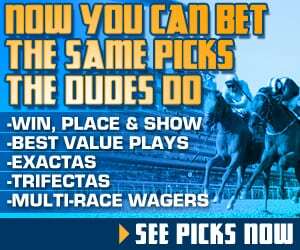 The Rebel offers 50-20-10-5 qualifying points for the Run for the Roses at Churchill Downs, and Saturday’s test at 1 1/16 miles for sophomores highlights Oaklawn’s stacked 11-race card, which includes the $350,000 Azeri Stakes and the $250,000 Essex Handicap. 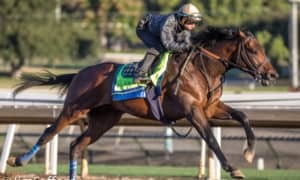 American Anthem, who handled his first flight like a seasoned professional and arrived on the grounds from Southern California Tuesday with stablemate and Essex entrant Mor Spirit, is headed for the starting gate for just the third time. 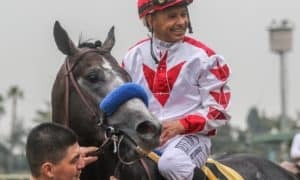 American Anthem will be partnered with Hall of Fame jockey Mike Smith, who was aboard the colt when he lost by only a head in the Grade 3 Sham Stakes at Santa Anita on January 7. #7 American Anthem – We’ve been waiting since January for this horse to run back, and much like Mastery last week, we’ll finally get our chance to see what he’s made of. Mastery showed us a ton last week, but unfortunately was pulled up right after the race. He’s now off the Kentucky Derby Trail, but trainer Bob Baffert may very well unleash another beast this weekend. His recent workouts have been outstanding, and it’s worth noting that, in only his second lifetime race, he barely lost to an experienced horse, Gormley, in the Sham last time out. I expect a big step forward off of that race. #6 Malagacy – This is the wild card. 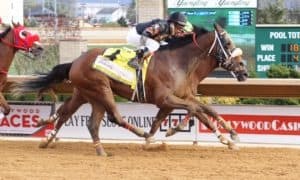 Trainer Todd Pletcher shipped in One Liner to win the Southwest Stakes last month, and now he ships in Malagacy to try and capture another Oaklawn jewel. Malagacy is, in my opinion, the most talented horse in the race, but can he go two turns? That’s a major question mark that I believe even his trainer is curious about. If he’s effective at the distance, he will have a big shot at winning. If not, he’ll have a big shot at finishing off the board. #4 Petrov – In the previous two weeks, we’ve talked about Gunnevera and Gormley getting no respect on the Derby Trail, when in reality, it’s Petrov who has been the forgotten one. Sure, he’s never won a race other than a maiden, but last time out, he ran too good to lose in the Southwest, earning a flashy speed number before One Liner ran him down late. 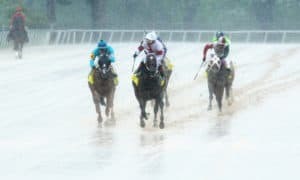 He was also a really good second in the Smarty Jones, that time to Uncontested, who may have freaked in the mud that day. I’ll be taking him seriously from now on. 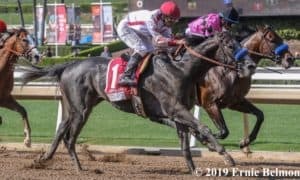 #10 Royal Mo – Another California shipper, he was solid last time out in the Robert B. Lewis Stakes at Santa Anita, winning easily, but that field was one of the weakest Kentucky Derby Preps so far this year. His front-end speed is appealing over a track that favors speed, and his progression with each race is trending in the right direction. 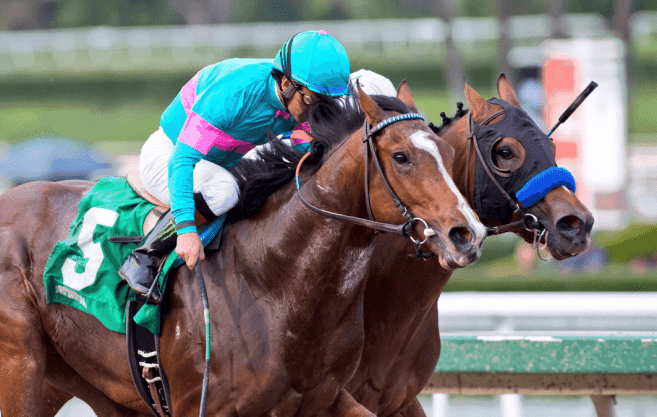 It wouldn’t be a shock to see him pull off the upset, but I’m just not sure he can match strides with the likes of American Anthem, Malagacy, and Petrov. #11 Lookin At Lee – If you follow me at all, you know my feelings on him. He is the classic “grind it out underneath” play, but I have never gone into any of these big races thinking that he could win. Last time out in the Southwest, he got a BRUTAL trip, yet he still managed to grind up for third. Today’s field will be just as tough, if not tougher, so he’ll need to improve to hit the board in this one. I think he will run a solid race, but not good enough to win. #5 Untrapped – Much like his stablemate Lookin At Lee, I view him as the ultimate underneath play. His two races in Louisiana have been solid efforts, but I can’t say that I thought he was going to win either one of those races at any point. That doesn’t mean I don’t think he has talent, I just don’t think he has enough to win in this tough spot. #2 Uncontested – He looked to be in cruise control up the backside of the Southwest, but he faltered badly in the stretch of that race, as Petrov and others passed him with ease. 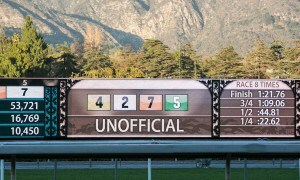 That race was almost too bad to believe, as he packed it in very early. Something may have gone wrong physically in that race, so perhaps we’ll see him back to his old self here. His workouts have been very impressive since the Southwest. 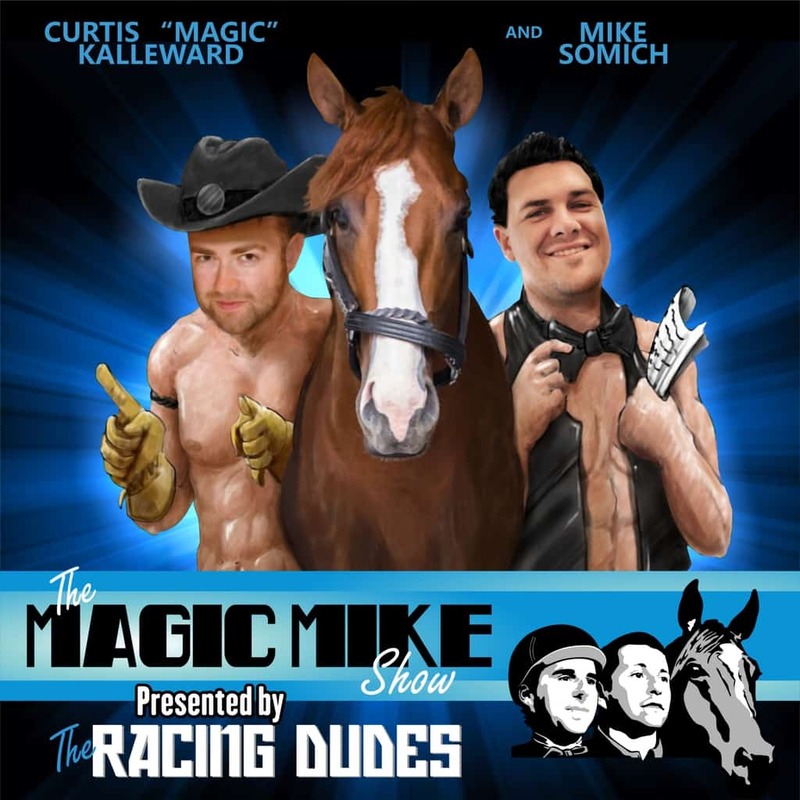 #8 Silver Dust – He entered the Southwest needing a race and finished well enough to nearly hit the board. Today’s race is a bit tougher, but if he can improve a little bit, there’s a chance that he could make an impact. He’ll likely be a huge price as well, so the value will be there. 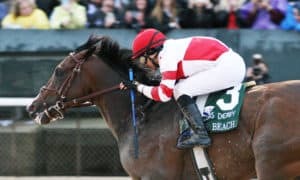 #3 Sonneteer – He looks to be outclassed against this bunch in one of the toughest Kentucky Derby Preps we’ve seen so far. It will be tough for him to match strides with many of these. 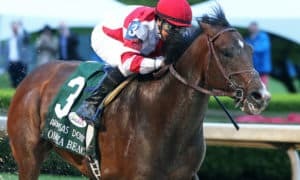 #1 Silver Bullion – Trainer D. Wayne Lukas takes a swing today with a horse that is running well of late, but probably not up to this caliber. He might be better suited for the allowance races earlier on the card. #9 Appalachian Gem – A tough spot for this horse as he definitely jumps into the deep end of the pool. His connections are swinging for the fences.